Nissan brings together the excitement of playing virtual games with reality through the Nissan GT-R/C, this is a dream car of the gamers that can be controlled completely through the DualShock®4 joystick. This is part of the celebration of the launch of the Gran Turismo Sport game in Europe on October 18, 2017 and commemorates 20 years of Nissan's involvement in the Gran Turismo game series. These GT-R car can be controlled simply by using a DualShock®4 joystick. The vehicles with remote control is able to reach speeds up to 196 mph without anyone sitting behind the wheel. 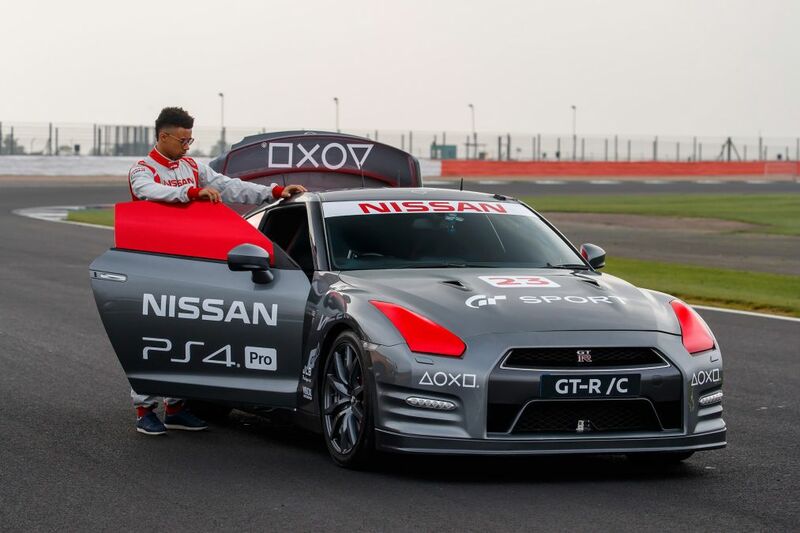 The speed of GT-R/C was tested by NISMO driver Jann Mardenborough at Silverstone. Jann controls the GT-R/C of the Robinson R44 Raven II helicopter cockpit, which already has a special permit to fly in low altitude. 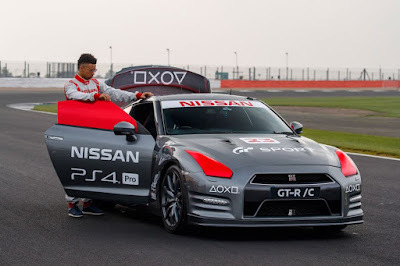 Mardenborough is one of the most successful Nissan GT Academy winners, a revolutionary program from Nissan that seeks out and develops the gamers into real racing driver. Jann is the first racer to drive a GT-R/C because of his unrivaled talent at Gran Turismo and the real race. "It's a great car and the first experience of a lifetime. The GT-R/C has merged my two worlds (virtual gaming and real racing world) in an unexpected way. The reaction of the car when controlled remotely is more interesting than I imagined. The designs by JLB are extraordinary in making everything react very well," says Jann Mardenborough. "I'm happy to say all these challenges are passable, but this is also inseparable from Jann's unique capabilities that can control the vehicle in a very short time and produce a truly impressive lap times," he added. Nissan has dedicated its best creativity and innovation to the racing world for over 80 years by combining technology and performance for competitive advantage. 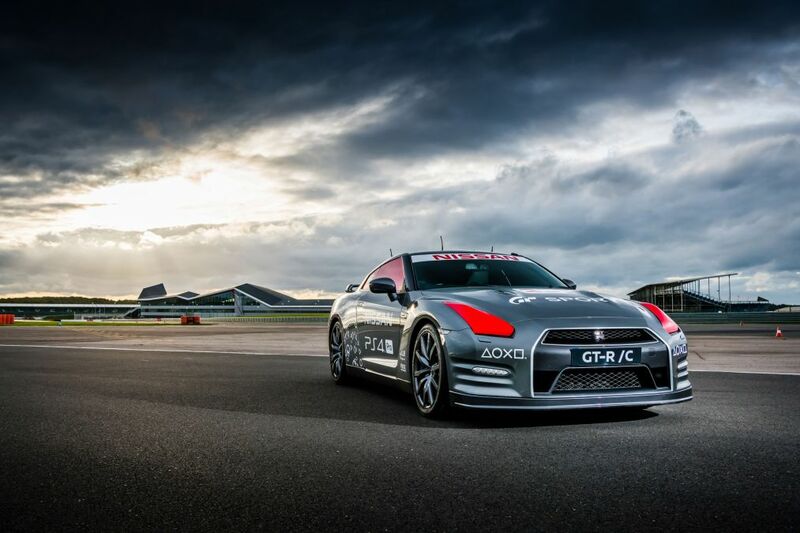 Since 2008, Nissan has also made the racing world more accessible to the public through the Nissan GT Academy, which can transform the game enthusiasts into professional drivers. The GT-R/C was modified in the UK by JLB Design Ltd., by using the R35 V62011-specific engine that can be spewed the power up to 542 bhp of the same year when Jann Mardenborough won the Nissan GT Academy. In the fastest lap recorded by Mardenborough (1:17:47), the average speed of the GT-R/C reaches 76 mph (122 kph) and the top speed at 131 mph (211 kph). Meanwhile, the average speed on the circuit with the lenghth of 1.6 mile/2.6 km is around 83 mph/134 kph. The GT-R/C is equipped with four robots that control the car's steering, transmission, brake and gas lever. Meanwhile, there are six computers are installed to update the control up to 100 times per second. The steering position is also measured to 1/65,000 positions. 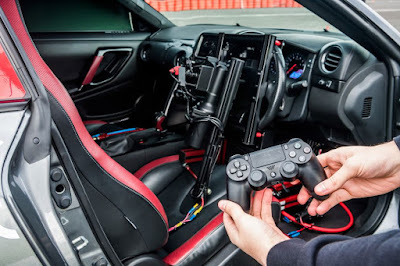 The DualShock®4 controls unmodified with a microcomputer that translates signals from buttons and joysticks to forward to the GT-R/C on-board system. This wireless operation has a main control range of up to one kilometer. To help Mardenborough assess the speed of the vehicle in the corner, there's the Racelogic VBOX Motorsport sensor is installed to transmit speed data to the LCD screen in the helicopter cockpit. The GT-R/C is also equipped with two independent safety systems that operate on different radio frequencies. This allows for two additional operators to brake the full ABS and shut down the engine if the primary operator loses its control. "The GT-R/C has presented unique challenges and a number of our first engineering experiences. We must ensure effective robotic operation during acceleration/deceleration, as well as the power in sharp turns; provide real control and secure the car at all speeds; maintaining a strong relationship between the car and DualShock®4 with varying distances and with minimal conditions at the time of the robot in action," said James Brighton of the JLB Design Ltd.